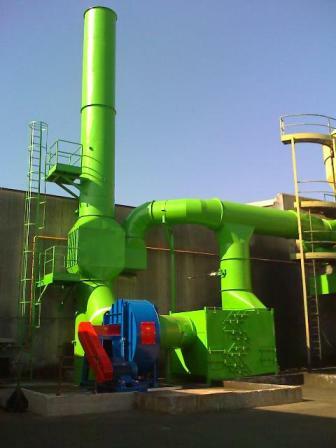 The emissions characterised by the presence of fumes, emulsions and oil mists with low presence of particulate material can be purified with separators by SN coalescence series, characterised by optimum reduction performance and low management costs. The coalescing separator filter uses the capacity of the microparticles to agglomerate in increasingly larger drops on the surface of the specially structured metal fibre. The liquid retained by the fibres drains progressively towards the collection tank of the suppressor, from where it is periodically extracted. Multiple stages in series ensure maximum efficiency of aeriform abatement. The cells can be easily disassembled and, if needed, regenerated by washing with a hot water jet.